Preheat oven to 350 degrees F. Line 13×9-inch baking pan with foil, with ends of foil extending beyond sides of pan; grease foil. Place 15 of the graham squares in bottom of pan, overlapping slightly. Break remaining 5 graham squares into large pieces; set aside. Place butter and chocolate in large microwavable bowl. Microwave on HIGH 2 minutes or until butter is melted. Stir until chocolate is completely melted. Stir in sugar. Add eggs and vanilla; mix well. Stir in flour until well blended. 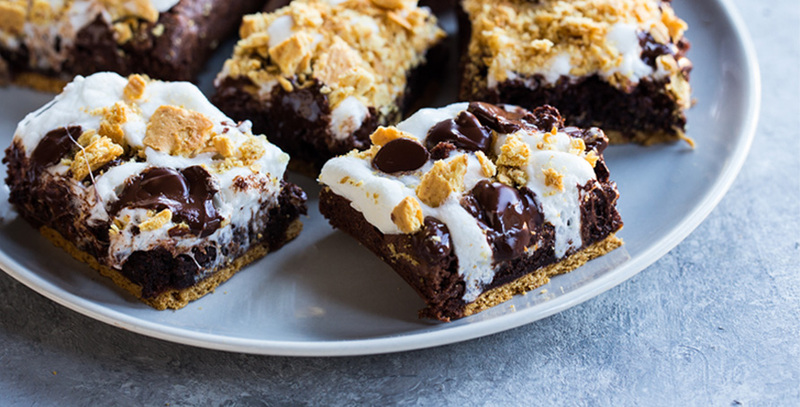 Spread over graham squares in pan. Sprinkle evenly with marshmallows and chocolate chunks. 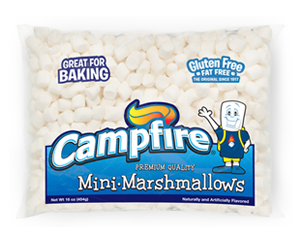 Bake an additional 3 to 5 minutes or until marshmallows begin to puff. Press reserved graham pieces gently into marshmallows. Cool in pan on wire rack. Lift out of pan onto cutting board using foil handles. Cut into 36 bars.